The last time Mike Pence made a political statement at a sporting event, he criticized pro football players for kneeling through the national anthem — but the vice president was the one sitting on his hands this weekend in Korea. Pence was in Pyeongchang, South Korea, at the end of last week, accompanying the U.S. athletic delegation to the opening ceremony for the 23rd Winter Olympics. And as the second-in-command in a presidential administration mired with political controversy, he seemed almost destined to make headlines at the international event. Almost no sooner than he arrived did the vice president meet with North Korean defectors and pass on a meal with dignitaries from the totalitarian regime. But the most dramatic moment came at the parade of nations entering the games Friday, when a unified team between North and South Korea entered the arena. Pence, who walked out of an NFL game last October after players knelt during the anthem to protest police brutality, pointedly remained seated as the Korean team passed in front of him, prompting accusations of hypocrisy. The vice president’s critics have a point — for someone so offended by kneeling at football games, taking a seat at such a symbolically important world gathering is about as hypocritical as you can get. But on the other hand, Pence deserves credit for holding the line against a thinly veiled North Korean charm campaign — especially because many in the American media seem incapable of doing so. It’s true that North Korea’s participation in this year’s winter Olympic games is much more extensive than normal for the secluded nation. North Korean leader Kim Jong-un sent his sister, Kim Yo-jong, and an all-female cheerleading squad to this year’s iteration of the games, along with 12 North Korean players to participate on a unified Korean women’s hockey team. Yet Kim Jong-un’s sudden public relations coup doesn’t seem to be translating as well on the ground in South Korea. 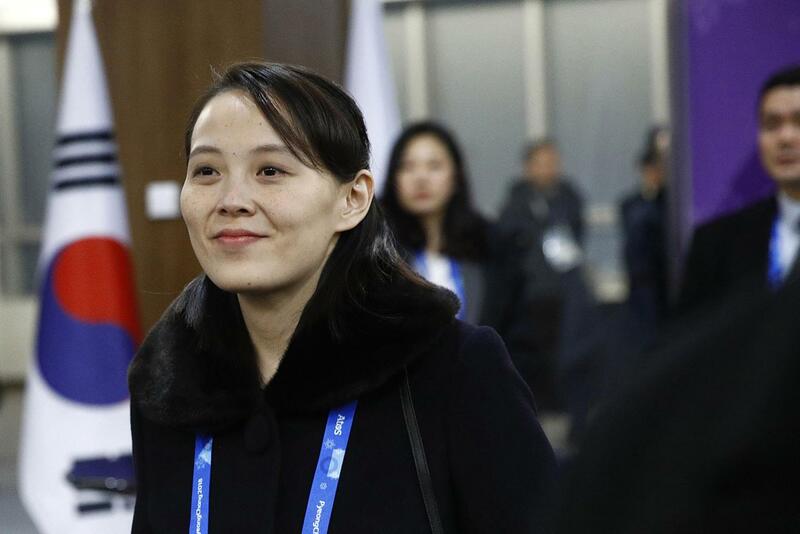 Activists reportedly burned North Korean and “unification” flags outside a theater in Seoul, South Korea, where Kim Yo-jong was attending a pre-Olympic event with the South Korean president. Chants called the efforts at reconciliation “an utter humiliation” and “ugly political Olympics.” Others burned effigies of the North Korean leader, advocating “tearing Kim Jong-un to death,” according to international newspaper Firstpost. Clearly, there’s at least some level of disconnect between the international news media and Koreans themselves. The different reactions to the North’s PR campaign show how intractable the problems facing the Korean peninsula are — and how ineffective simple gestures like a unified women’s hockey team are to solve those decades-old issues. Pence is a hypocrite, but being a hypocrite doesn’t automatically make you wrong. Pence was right to take a seat against sugarcoating the North Korean regime’s atrocities.